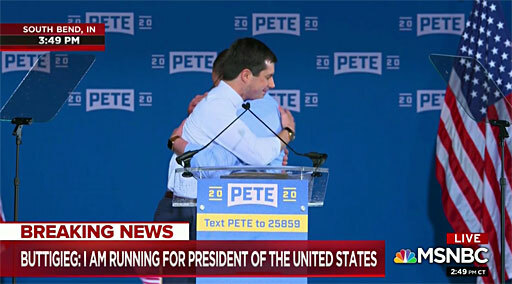 The Randy Report: Mayor Pete Makes It Official "I Am Running For President Of The United States"
Mayor Pete Makes It Official "I Am Running For President Of The United States"
An enthusiastic crowd came together today in South Bend, Indiana, as Mayor Pete Buttigieg officially announced his candidacy for president of the United States. 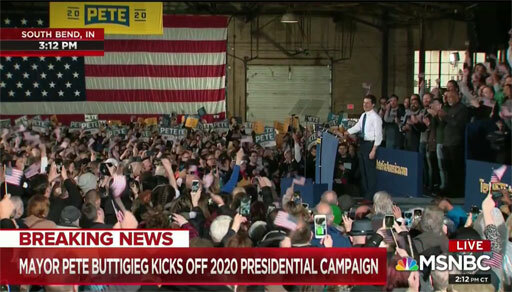 "My name is Pete Buttigieg, they call me Mayor Pete," said the mayor standing before a crowd of thousands in his hometown. "I am a proud son of South Bend, Indiana and I am running for president of the United States." The young mayor told the crowd, and the world, that the guiding principles for his campaign are "simple enough to fit on a bumper sticker: freedom, security, and democracy." "Our marriage exists by the grace of a single vote on the US Supreme Court," said Buttigieg. "Nine women and men sat down in a room and took a vote and they brought me the most important freedom in my life." In other words, the polar opposite of the current occupant of the White House. In recent weeks, he's surged from zero support in political surveys to 3rd place in multiple polls. 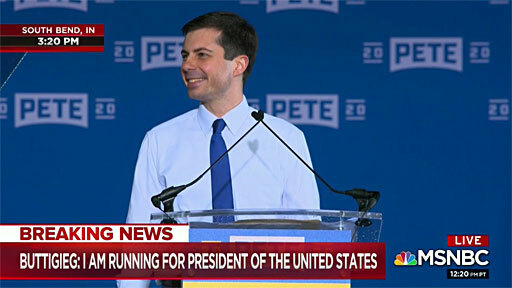 “There is enormous power in an openly gay presidential candidate stumping at town halls in Iowa and speaking to Americans from the presidential debate stage – it changes perceptions of our community and raises the bar for candidates who seek LGBTQ support,” added Parker.